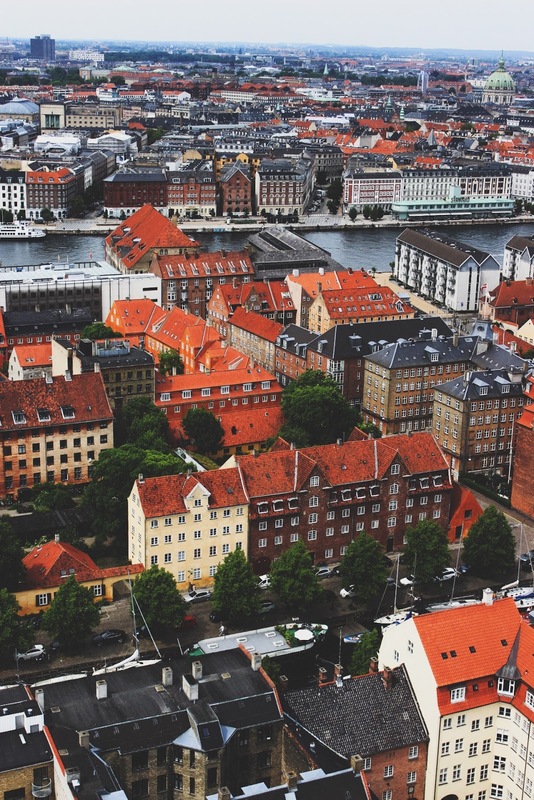 A few months ago, James and myself booked ourselves a trip to Copenhagen after being enticed by some £35 return flights. Originally I was actually looking at spending a weekend in Manchester, but considering the train was closer to £100 each, it was a no brainer that we were off to explore Denmark instead! 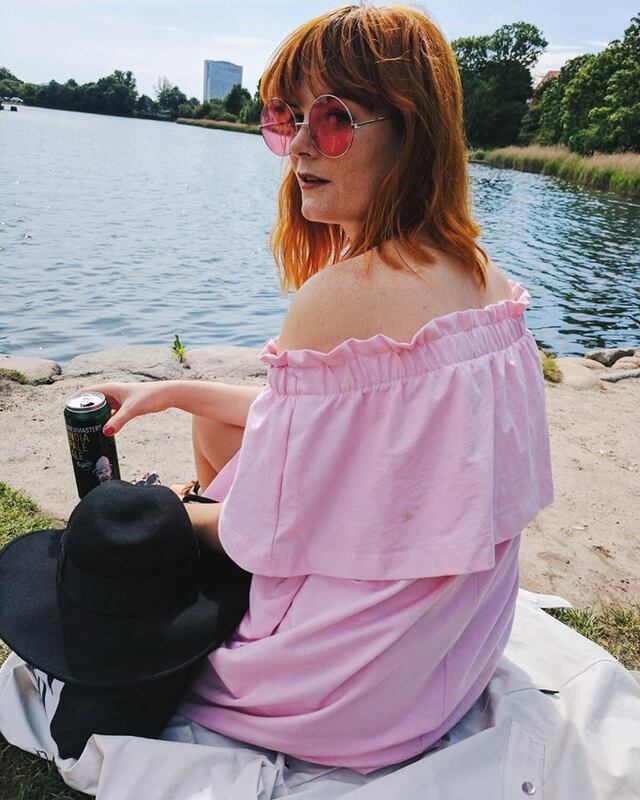 We did actually spend a little over 48 hours in the Danish city - we had around two and half days there in total - but we did visit Freetown Christiania twice in that time, so I'm basing this guide on how to spend a couple of days there instead. This trip marked #4 as part of my Leigh's 12 in 12 mission, which means I'm now a third of the way through this little self-initiated travel challenge. It's also probably worth mentioning in advance that we did not visit the famous Little Mermaid statue, so it will not be featured in this guide. The new Super Hybrid suitcase from Kipling is perfect for city trips! We arrived at Copenhagen Airport (CPH) at around 11am after a super quick 90 minute flight from London Stansted. We travelled with hand luggage only, and my packing experience was made all the easier with this brand new Kipling Super Hybrid suitcase. Usually I travel with an over-the-shoulder holdall, which is starting to fall apart but it's also a strain on my back. It was so much easier to glide through the airport with this 4-wheeled, suave case and the hard shell on the bottom means it should last me for dashing across airports for many years to come. However, we had been awake since 3am so we arrived feeling a little sleepy but eager to explore! Airport transfer service, hoppa, kindly arranged a car to pick us up from the airport to take us to our Airbnb in the city centre. Considering we were so tired, it was so much easier to just have a car booked waiting for us to take us directly to where we needed to be rather than trying to navigate our way around the public transport system in a new city. We were treated to a private transfer in a rather fancy Tesla electric car, which really was a perfect way to begin our trip! The trip took no longer than 25 minutes or so from the airport, but as we were early for our check-in we quickly ditched our bags at the apartment and headed straight back out to get our bearings for the next few hours. Located just a few moments walk from our apartment was a traditional Danish bakery, named Musik-conditoriet (view on map here), that served up some of the most delicious pastries and beers from just 30 DKK (around £3.52), which is an absolute bargain in Copenhagen. Just like every other Nordic country, Denmark is ridiculously pricey if you're visiting as a tourist and later on during our trip we paid a sickening £16 for two pints! 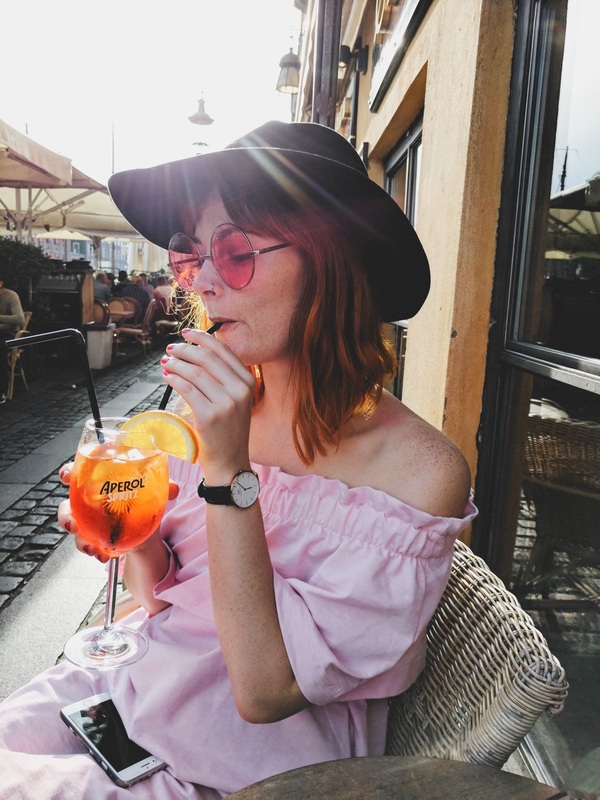 Moving on from our regrettable spending on beer, here are a few things I would personally recommend you see and do during a city break to Copenhagen with a few things we learned along the way. There are lots of Bycyklen docking stations spread across the city that anyone can easily hire within a few minutes. They work similar to London's bike share scheme, where you pay for the time the bike is used and you can dock them at different stations across the city... only what we do, the Danish do a heck of a lot better! 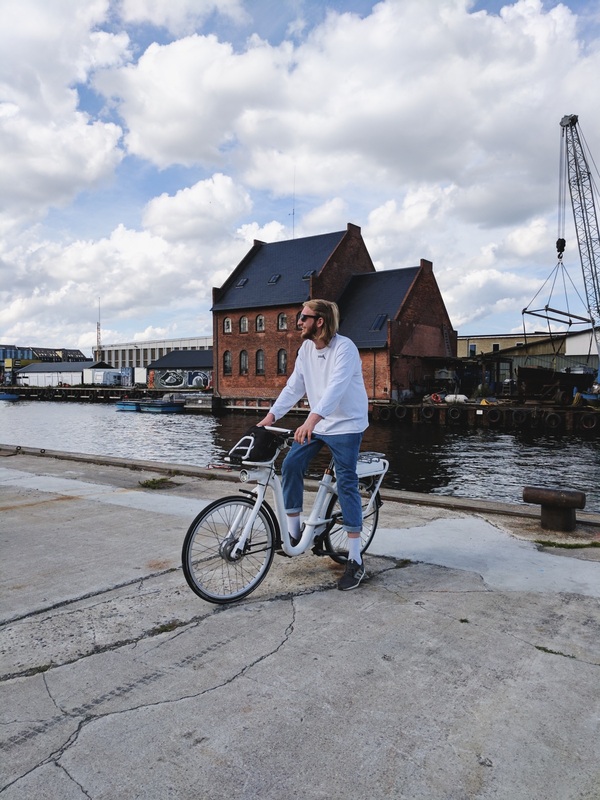 The Copenhagen city bikes not only come with a power assist option making them an absolute dream to cycle, but they've also got an integrated touch-screen tablet which can be used for navigation around the city. To get set up, you need to create an account at bycyklen.dk or you can sign up directly via the tablet on the bike's handlebars, including your name, email address, telephone number and payment details. Pricing starts at 30 DKK per hour usage, which we found can actually can mount up pretty swiftly! We only used the bike scheme on our final day and we used the bikes for around 7 hours, but forgot to dock at the designated stations when we parked them which meant we wasted a lot of money away by not returning our bikes when they weren't in use. The first day and a half in Copenhagen, we walked everywhere, which is great but the city is absolutely huge so travelling by bicycle is a much quicker and more convenient way of exploring. Copenhagen is completely flat, meaning there's no struggle with cycling up steep hills, and it's a city that is built for cyclists with cycle lanes running everywhere throughout the city. I felt a little bit nervous cycling in a new city when I don't cycle usually, but it was absolutely fine and definitely the best way to see Copenhagen. 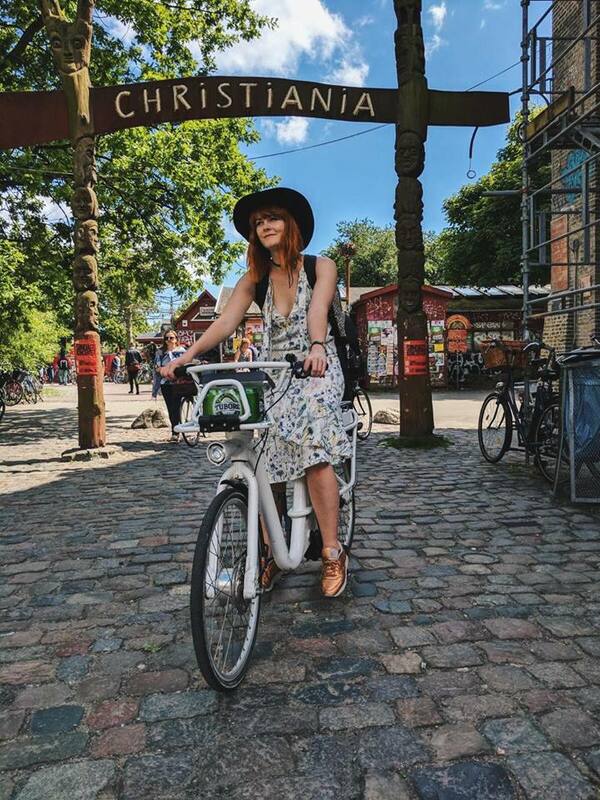 Freetown Christiania is somewhere I've wanted to visit for years, so it was always high up on my 'to see' list when exploring Copenhagen, however I didn't expect to fall in love with it as much as I did. 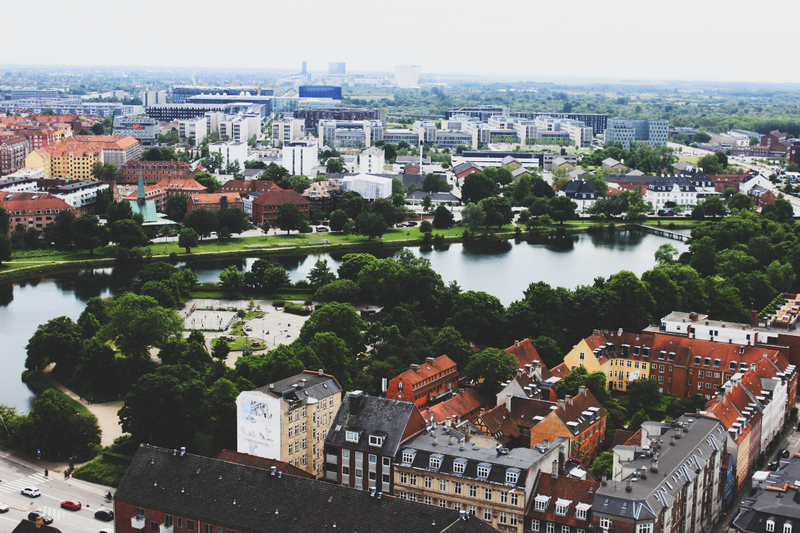 It's a green and car-free neighbourhood that was set up during the hippie movement in 1971, when a group decided to become completely independent from the Danish government and set up their own society rules. For the past 46 years it's been a community-led, liberal utopia that was set up in abandoned military barracks. I had asked around a few friends who had visited Christiania what to expect and most people responded that it was a little disappointing and to them, felt a lot more shifty than the peaceful hippie commune it has been painted to be. In all honesty, because of this I wasn't expecting too much from Christiania, but it completely surpassed my expectations entirely and is my favourite corner of the entire city from our visit! 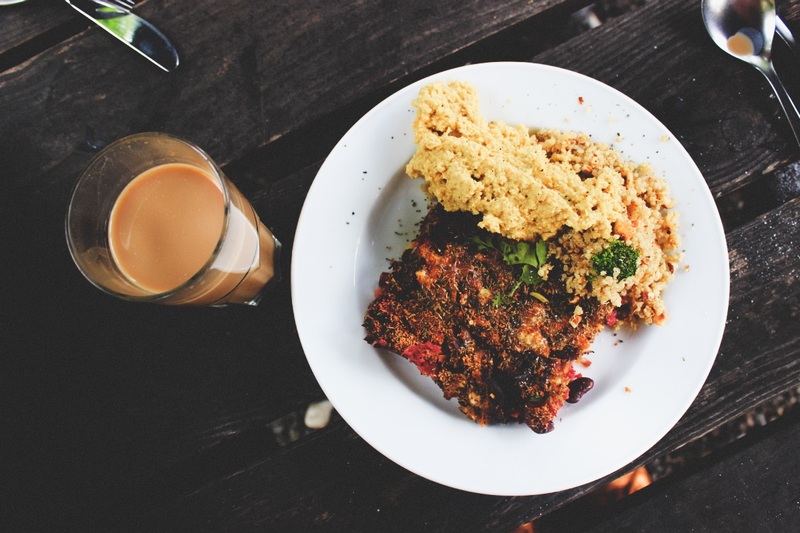 The Freetown is a mixture of eclectic handmade houses, converted industrial buildings, art galleries, colourful murals, music venues and some of the most delicious, organic cafes and food stalls across the city. It's also well-known for its open hash dealing in the 'Pusher Street', which is still illegal in Denmark. I wasn't sure what to expect from this and whether it would be intimidating, but I felt completely comfortable passing through the 'Green Light District', and selling wasn't pushed upon you and everything was just so open and honest, rather than shifty and intimidating. No one approached us to push whilst we walked through, and sellers just sat behind their stalls quietly until customers approached them. Nestled just behind the chaos of the built up Freetown is a beautiful, open lake which was occupied by people relaxing, drinking and smoking in the sun. We spent far more time than anticipated in this exact spot just relaxing and watching the water glisten in the sunlight with a Carlsberg in hand. Grabbing a 6-pack of local brewed beer from a corner shop will only cost you around 55 DKK (around £6.46), which is much more affordable than the bars in city. 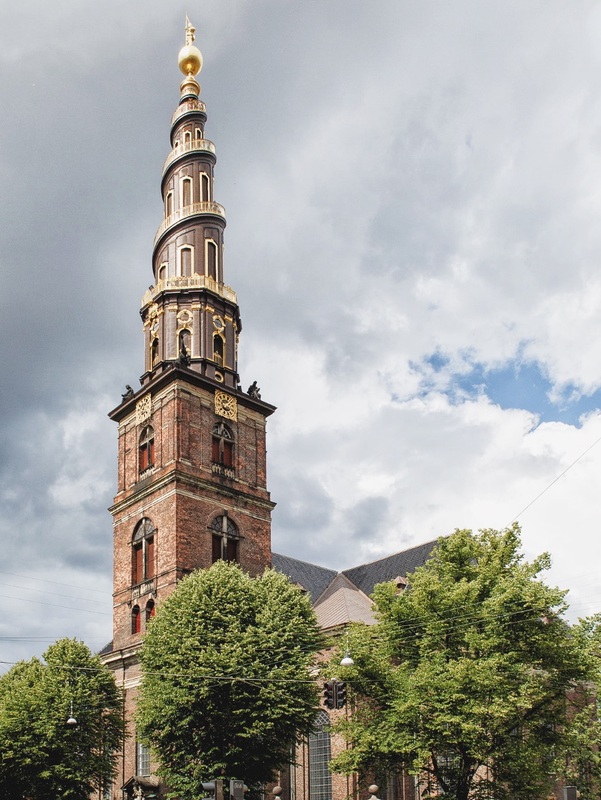 Church of Our Saviour is located just a few minutes away from Freetown Christiania and offers spectacular views across the city - in fact, it's been voted by Copenhagen locals the best view of the city! The entrance fee to climb the 400 steps up to the top of the church is 35 DKK (around £4.11) and it's definitely a full-body workout, so get ready sweat one out during your climb! The final 150 steps of the climb are located on the outside of the spire, which gradually gets narrower and narrower the closer you climb to the 90 metres above street level. We soon found out that if you're afraid of heights, like James, then you probably won't appreciate the views quite as much. 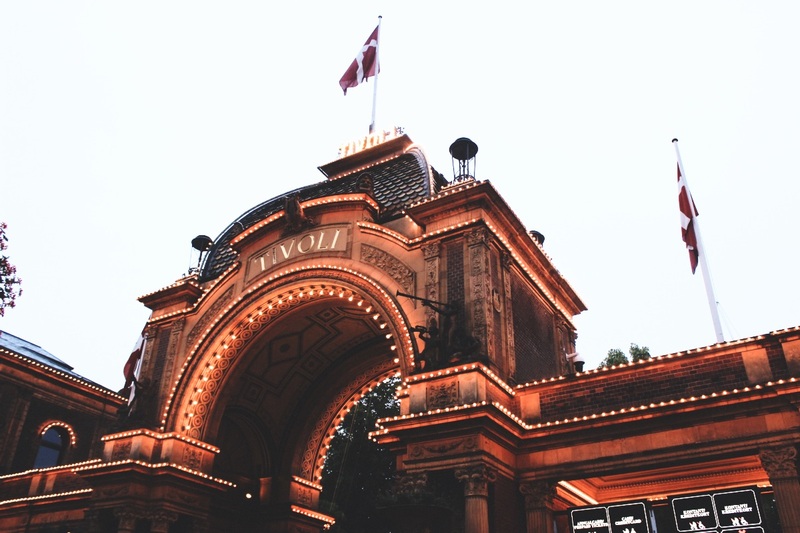 Tivoli Gardens is one of the oldest theme parks in existence as it originally opened in 1843 and is said to be the main inspiration for Walt Disney as he visited Tivoli multiple times just before he opened his own amusement park. It's located just a few minutes walk from city hall and it's practically unmissable as its grand, towering entrance will stop you in your tracks. The gardens are full of traditional and exciting theme park amusements, exotic gardens, multiple restaurants and beautiful architecture. We only spent a few hours there on our first evening and although we adored it, we were a little too drunk to appreciate it entirely and it decided to rain quite heavily which did have us running for shelter most of the evening. 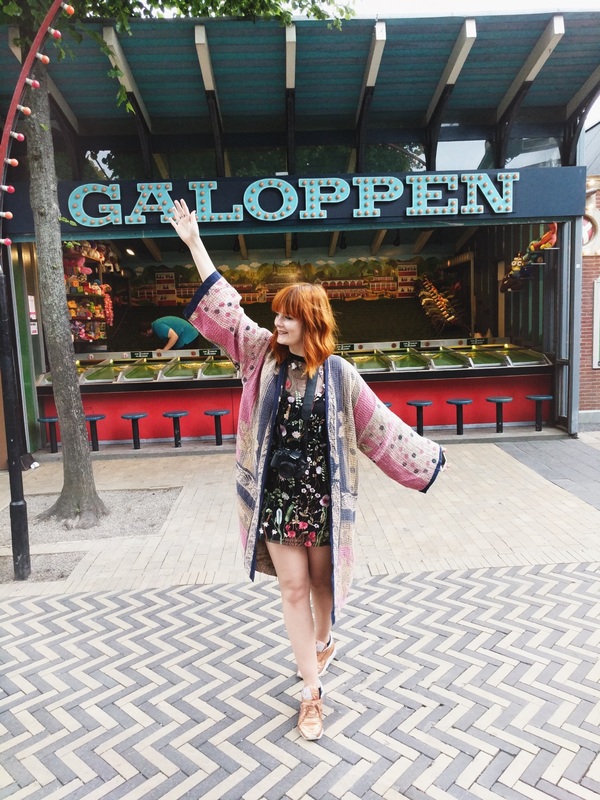 The main reason Tivoli Gardens was on our list to visit was simply because of Richard Ayoade's 'Travel Man' episode with Noel Fielding, in where they visited Tivoli and played a game called Galoppen. The aim of the game is essentially to roll some balls into a holes with numbered points above them to push your horse ahead in a race and the horse that finishes first is the winner. I can vouch that it's addictively fun and I can totally vouch for why Ayoade and Fielding managed to get so excited when playing! 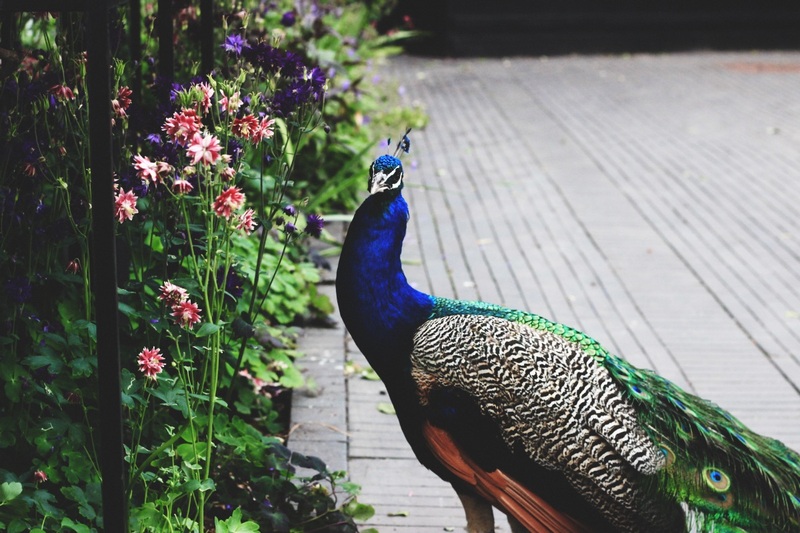 The Gardens also host major events and regular concerts, and it's worth noting that your entrance fee sometimes covers the cost of the concert that may be happening the day you visit. The admission price for adults is between 110 - 120 DKK (£12.95 - £14.13) dependent on the time and season, and a multi ride tickets costs 230 DKK (approximately £27) in addition to the entrance fee. As we were on a strict budget, we only paid for our entrance fee and wasted away some extra money on arcade games instead. Nyhavn is quite potentially the most tourist-inhabited and most Instagrammed spot across the whole of Copenhagen. I have no doubt that you've seen the picturesque, multi-coloured, little houses acting as a perfectly curated backdrop for many Instagram photos, including my own. Nyhavn used to be a busy commercial port back in the day that was lined with ale houses and pubs, but today they've been renovated into classy restaurants with seating scattered outside for you to drink and eat away the summer evenings with a jazz soundtrack from a local musician. We stopped by for the obligatory photos and soaked up the atmosphere with a couple of drinks. Predictably however we found the pricing to be a little more expensive than the likes of Christiania, so after just one drink each we paid our bill and headed off in search of cheaper alcohol! 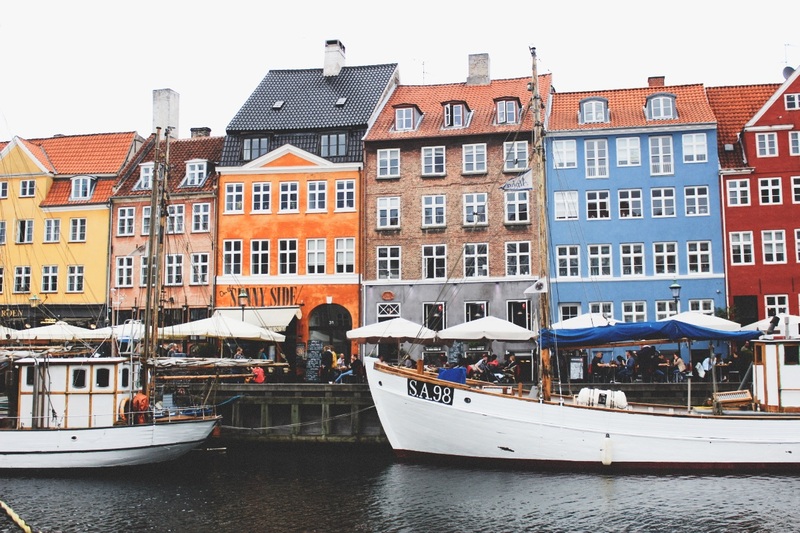 We did return to Nyhavn on our final day when we had our rental bikes, but this time we returned with a few beers from a local shop and sat beside the canal, which I'd thoroughly recommend if you're watching your budget. It's a perfect way to indulge yourself in the Nyhavn schmoozing whilst saving yourself a pretty penny or two! In case I hadn't repeated myself: Copenhagen is expensive for a UK tourist. This also includes eating out, which was pretty much unfathomable for both of us on a tight budget. After a couple of days of living off of falafel wraps from the kebab place that was local to our apartment, we decided to cycle out to Copenhagen's Street Food market, which had been recommended to me by a few friends before we left. The colourful street food market is tucked inside a huge warehouse, located on The Paper Island directly opposite the Opera House and only a short cycle away from Nyhavn. Entrance to the market is free and a meal will cost you anywhere between 50 - 100 DKK (£5.89 - £11.77), which is considerably cheaper than eating out at a restaurant. 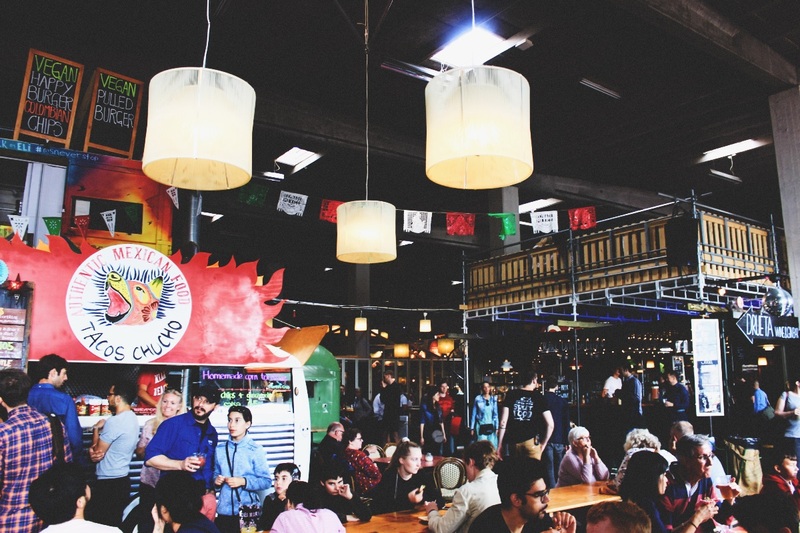 The market focuses on global cuisine with everything from a burrito truck to traditional Danish Smørrebrød (open sandwiches) to sweet treats. 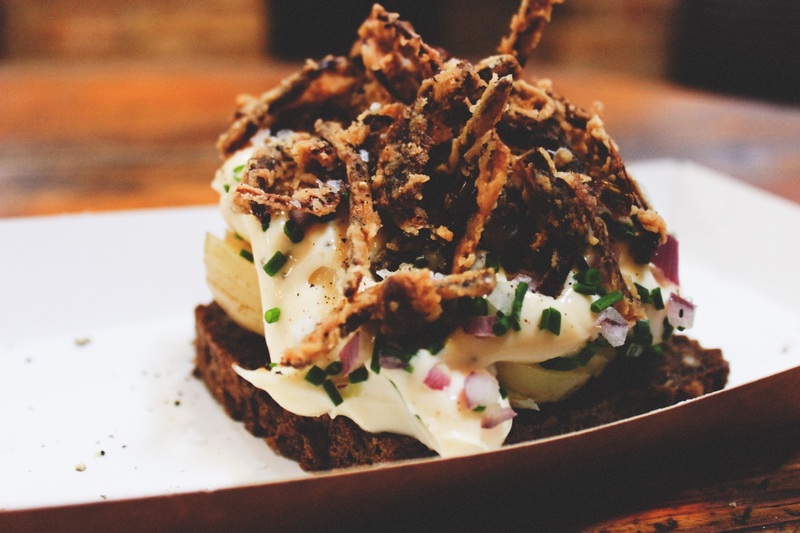 We couldn't leave Denmark without trying out the vegetarian Smørrebrød with crispy onions, potato salad and a slathered in (a little too much) mayonnaise. Our verdict? It was just okay. 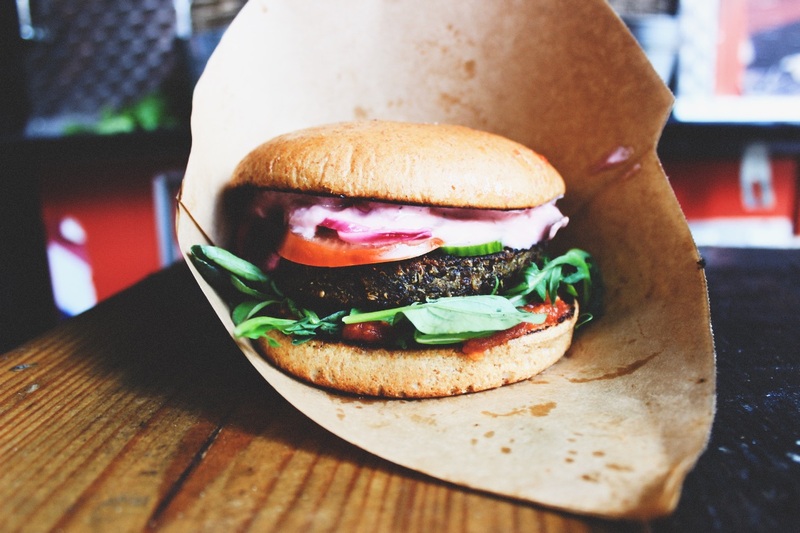 We also tasted the 'Vegan Happy Burger' with a mushy, quinoa patty from a little vegan van just located on the left hand side of the warehouse. I mean it wouldn't be a successful holiday if we hadn't tasted a local veggie burger, would it?! Looks a brilliant city. I wish I would have traveled more and been somewhere like this. I don't think I would have been able to walk up that tower though. My Vertigo would go crazy! What a gorgeous place, the buildings are beautiful! I love your outfits too! 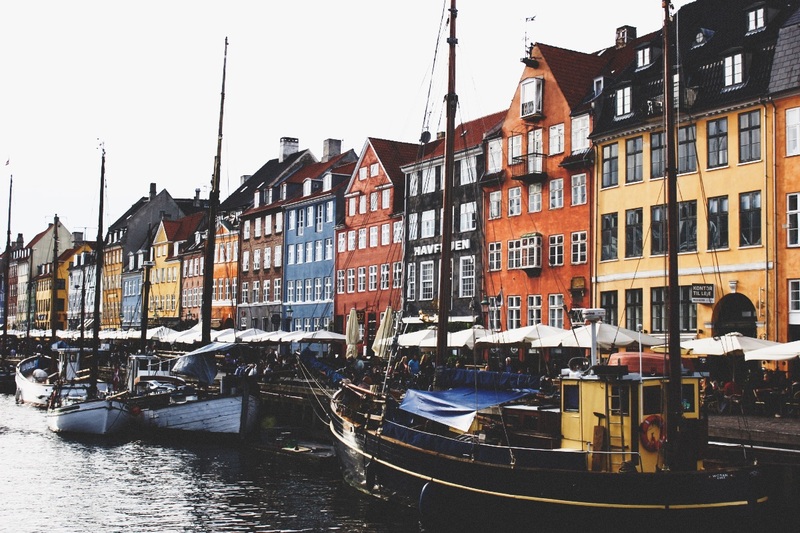 Copenhagen looks so amazing and is definitely on my bucket list!! Your blog post about it is really helpful and the shots are stunning! I've never been to Copenhagen but it looks a gorgeous city. 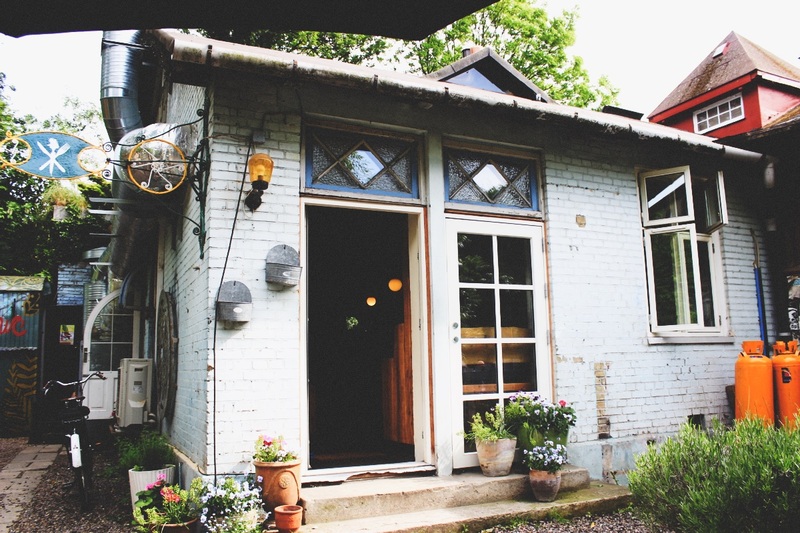 I love the sound of the food hall and Christiania. What a beautiful place, it sounds like you had a great time! I love the idea of hiring bikes too. COPENHAGEN is one of my favorite cities. Hope this year I have the chance to visit there.